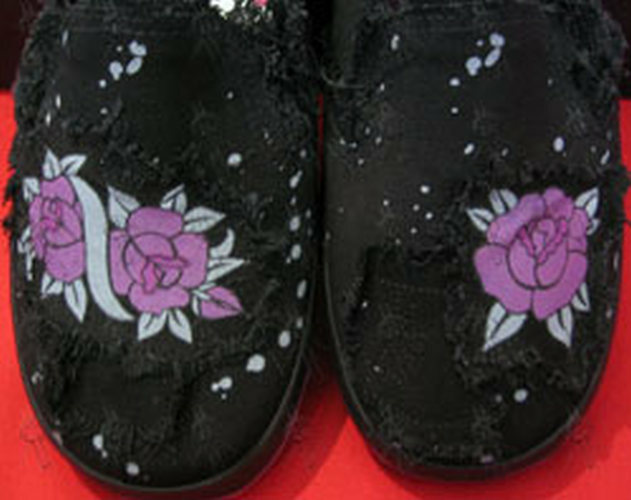 Black slip-ons with white & violet ‘faded rose’ design on front, along with violet embroidered designs on side, with sewn-on black material patches and scruffed lining. Canvas upper, grippy outsole. Size/s available: U.S. women’s 7 only. AUD $69.99 AUD $39.99 LAST PAIR!